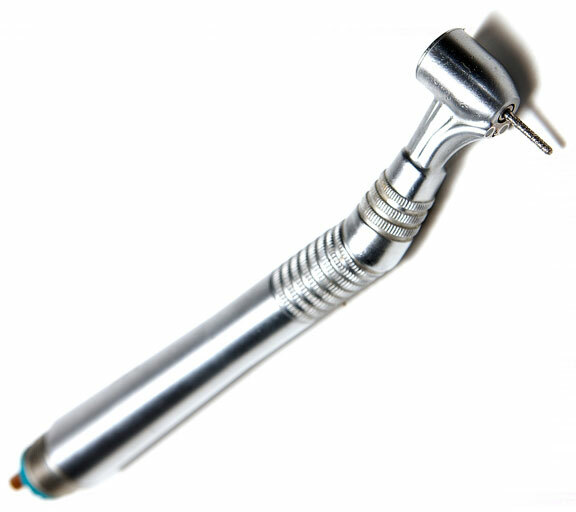 A metal, handheld dentist's drill is photographed on a white background. As soon as this dental tool buzzes to life, it will be used by the dentist to smooth and round cavities in the teeth so that they can be properly filled. See also this similar photo of a dental handpiece and a carbide bur.